The Shelburne Shipyard Steamboat Graveyard Project began in June 2014, under the direction of Dr. Kevin Crisman and Carolyn Kennedy. The project entails the study of four steamboat hulls that currently lie in Shelburne Shipyard, Lake Champlain, Vermont. These wrecks are the remains of passenger steamboats once owned by the Champlain Transportation Company (1826- Present). They were sunk intentionally in Shelburne Shipyard after they were deemed unsafe for passenger transport. The four wrecks, Wrecks 1, 2, 3 and 4, are believed to be the steamers A. Williams (1870), Phoenix II (1820), Burlington (1837), and Whitehall (1838). The latter three steamboats were built in the period just post-Fulton, when commercial passenger steamboats were a brand new phenomenon. For this reason, these wrecks are particularly of interest to nautical archaeologists examining the dynamic period of steamboat construction that followed the first steamboats. The shipwrights that built these early steamers were figuring out the best construction techniques to create larger, faster boats, but still sturdy enough to travel on Lake Champlain. We can see these changing designs in the three early Shelburne Shipyard hulls reflected in the narrowing sided dimension and increased spacing of the framing timbers, and the progression to additional longitudinal support timbers. These changes represent the shipwrights’ attempts to increase the speed of the boats by decreasing the weight of the framing timbers, and support the longer vessels with longer and more numerous longitudinal support timbers. These four wrecks in such close proximity provide archaeologists with a rare chance to examine not only some of the earliest archaeological examples of steamboats, but also the major changes in steamboat hull construction that took place in the 1820s and 1830s. 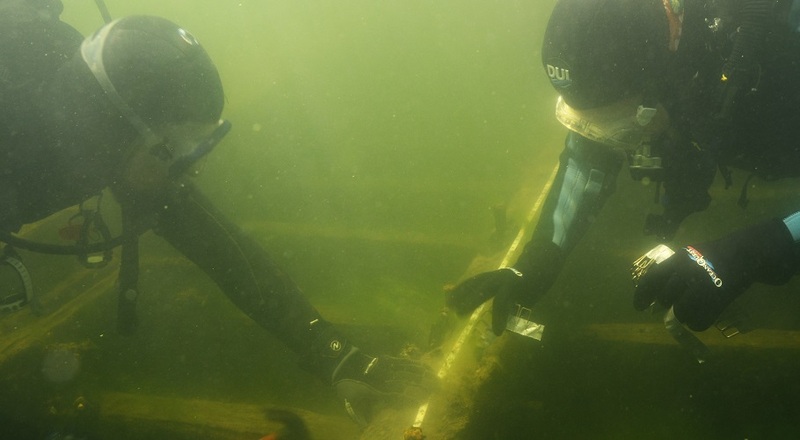 The location has also proved to be an excellent training ground for underwater archaeologists in training, and has been host to two field schools with both graduate and undergraduate student participation. Baldwin, Elizabeth. ‘The Reconstruction of the Lake Champlain Sidewheel Steamer Champlain II.’ Master’s Thesis, Department of Anthropology, 1997. Texas A&M University, College Station, TX. Bellico, Russell P. Sails and Steam in the Mountains: A Maritime and Military History of Lake George and Lake Champlain. Purple Mountain Press: Fleischmanns, NY, 2001. Chase, Jack. ‘Shelburne Bay Project.’ A Report on the Nautical Archaeology of Lake Champlain: Results of the 1983 field season of the Champlain Maritime Society, R. Montgomery Fischer, ed. Champlain Maritime Society: Burlington, VT,1985. Crisman, Kevin. “The Western River Steamboat Heroine, 1832-1838, Oklahoma, USA: Construction.” International Journal of Nautical Archaeology 43:1(2014), pp. 146. Lewis, W. “The First Generation of Marine Engines in Central Canadian Steamers, 1809-1837.” Northern Mariner 7:2, (1997), 1-30: 16. Renwick, James. “On the Steamboats of the United States of America.” Chapter VI in The Steam Engine: Its Invention and Progressive Improvement, an Investigation of its Principles, and Its Application to Navigation, Manufacturers, and Railways. Vol 1. Tredgold, Thomas. London, 1838. Ross, Ogden. The Steamboats of Lake Champlain 1809-1930. Burlington, VT: Vermont Heritage Press, 1997. Schwarz, George. ‘The Passenger Steamboat Phoenix: An Archaeological Study of Early Steam Propulsion in North America.’ Ph.D. Dissertation, Department of Anthropology, 2012. Texas A&M University, College Station, Texas. 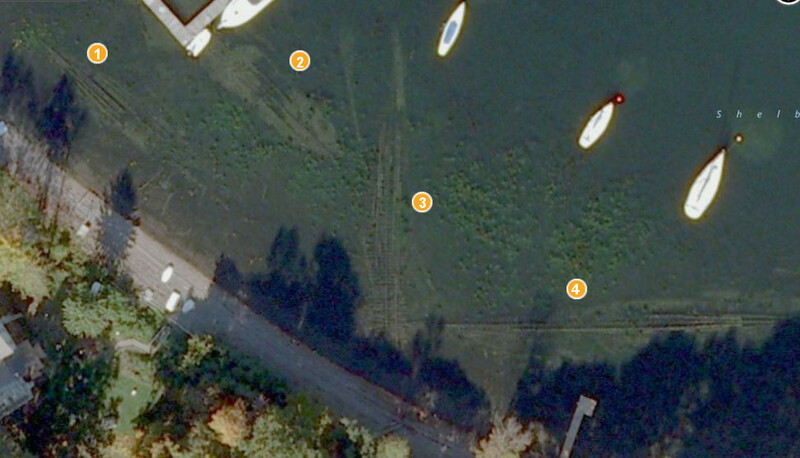 ABOVE: Satellite image of four steamboat wrecks in Shelburne Shipyard, 2013 (Photo: Bing 2013).